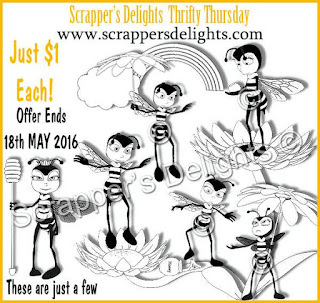 The Nickel Nook: Thrifty Thursday With Scrapper's Delights! Thrifty Thursday With Scrapper's Delights! Today is another post for the Thrifty Thursday Team at Scrapper's Delights! Every other Thursday I will be sharing a project. I will use a digi image that will be available, for a limited time, for only $1. You'll find all the details right HERE. You'll find the Thrifty Thursday Deals, along with others, right HERE. 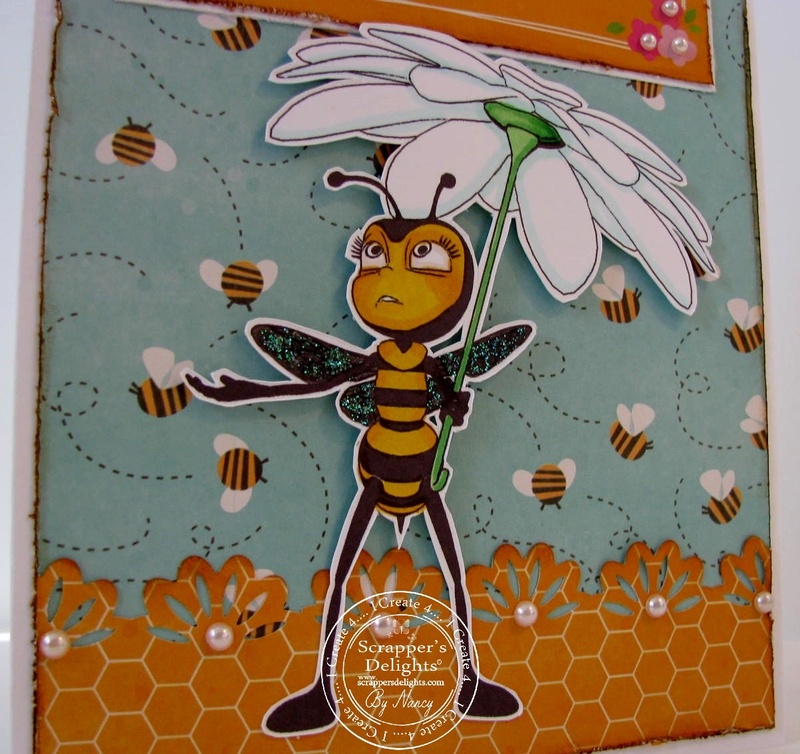 I've used the sweet image called Bee Digi 5 for my card. These fun papers by Pebbles were just perfect! I distressed all the papers with both a tool and ink. I coloured the image, fussy cut it, and popped it up with foam tape. Finally, I added some pretty pearls! Unknown: Glitter Glue and Pearls. Here's our Thrifty Thursday poster for this week! Here are all the Scrapper's Delights links you'll need. There are always LOTS of fun events going on, so check it out! A great image and your papers are perfect to go with it ! Lovely border punch too ! Fabulous image teamed with the perfect papers to create this fun card! Thanks for joining us at Creative Moments. I have to say this bee image totally caught my eye. LOL Love the expression and the papers couldn't be a better match. 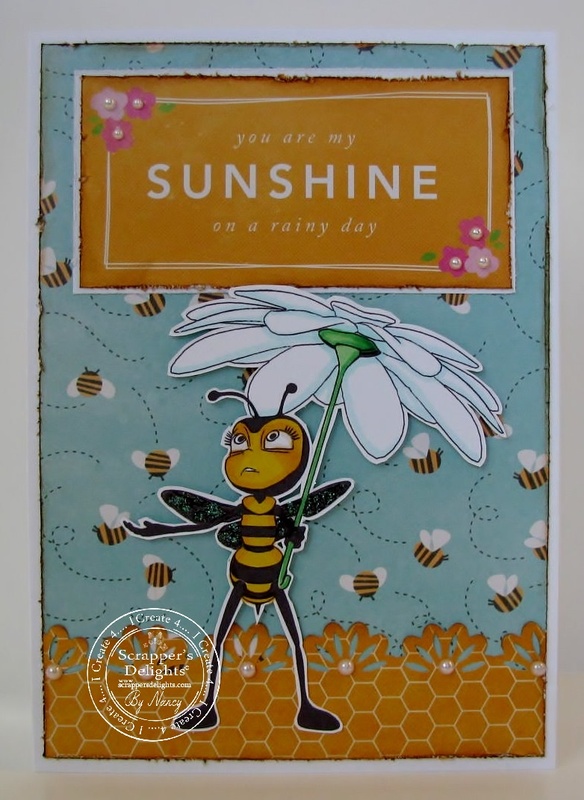 Great card - love that bee!